The Boundary End Center (BEC) has been an active and vital part of Mesoamerican and Southeast archaeological studies since its founding by George Stuart in 1984 (as The Center for Maya Research). 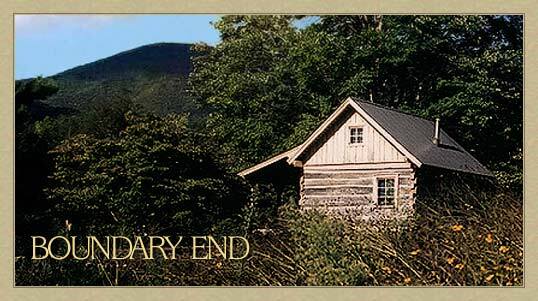 Over the years we've produced key publications and hosted scholars, students and artists in our facility bordering the beautiful Pisgah National Forest, just north of Asheville, NC. The next generation of the Stuarts is determined to keep George's dream alive, assuring BEC's vital role in archaeological and cultural studies for many years to come. BEC produces two highly regarded and important publication series: Research Reports on Ancient Maya Writing and Ancient America. These will be continuing under the joint direction of BEC and the Mesoamerica Center of the University of Texas at Austin. To ensure good continuity with our plans and publication projects BEC needs any and all financial support. We are a 501(c)(3) non-profit educational organization focused on promoting research in Mesoamerican studies, including anthropology, archaeology, epigraphy and art history.